I cannot wait for The Great Gatsby! The fashionable set flocked to a dresses opening exhibit for the film in NYC, thrown by costume designer Catherine Martin and Miuccia Prada. Carey Mulligan was among the bunch in an embroidered LBD from the fashion house’s Fall 2008 collection. Gorgeous! 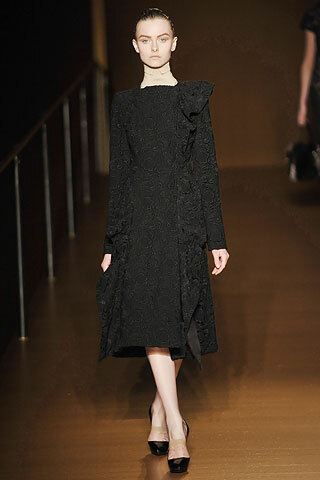 Visit www.prada.com for more information and see Carey’s dress on the runway below, worn by Kamila Filipcikova.